We stopped in Utoro for lunch, just before we turned off into the Shiretoko pass which ran between Mount Rausu and Onnebetsu. 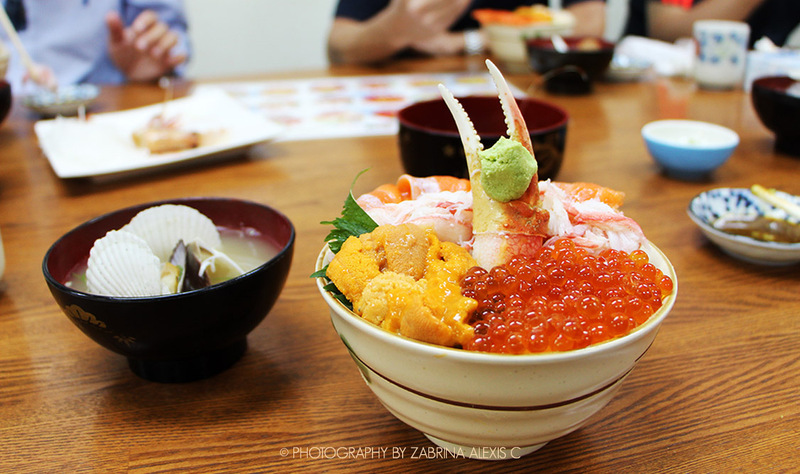 I’d read about and seen pictures of this specific Salmon Ikkura Don (Salmon and roe on rice). 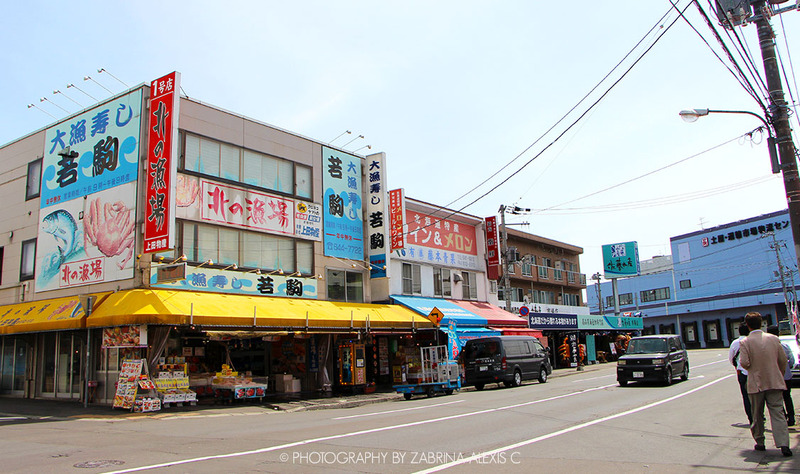 I tried my best with all the tantalising descriptions I could muster for the duration of the entire morning, and by lunchtime, everyone was convinced to look for it in this little seaside town on the west coast of the Shiretoko Peninsula. It was pretty hard to find – a clean, cream-coloured building with black outlines and a light coloured wooden door – the restaurant blended in with the surrounding buildings. Even with the GPS, we drove around the same area four times before someone finally spotted the white shop sign hanging vertically in front of the restaurant as we came around the bend. It was very value for and well worth the money. The dishes had generous portions of ingredients which were very fresh, well-seasoned and tasty. 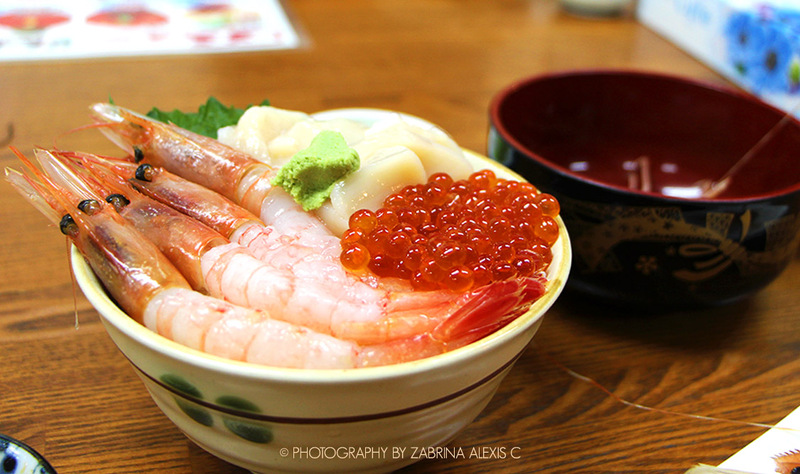 My Salmon Ikkura Don was about 2000JPY which is about $22. 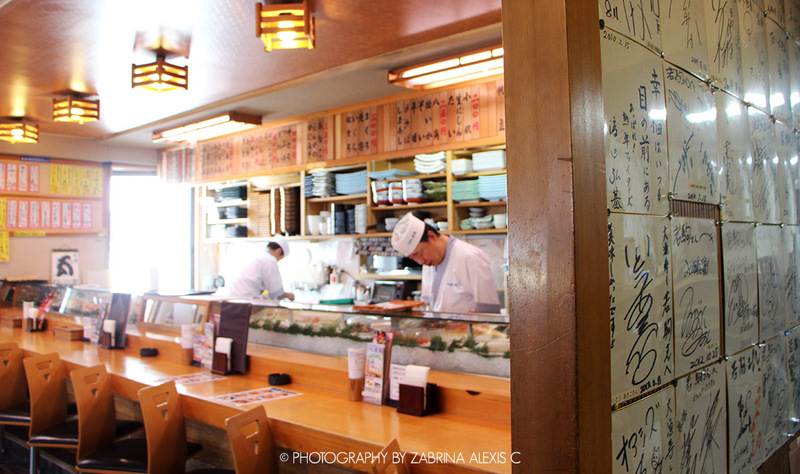 Most of the dishes also come with a bowl of soup and yellow pickles. The elderly lady, who I believe was also the owner, was friendly and very polite, and the dishes were meticulously put together. Everyone enjoyed the different dishes, from the well-known Salmon Ikkura Don to the Yakisoba (Fried noodles) to the Katsu Don (Breaded Pork on Rice). When we were there, they also had a “special” dish which were the clams, and they were absolutely lovely, so you should definitely take a look at what’s the special when you go. Someone finally spotted a white sign on the side of the building with blue and black Chinese characters hinting something along the lines of food as we rounded the same bend a fourth time. There was little else which would’ve given it away – no logo, no pictures of food or anything of the like – besides the little white shop banner which hung across the front door on a pole. It also didn’t help that the shop was facing away from the sea, so it was on the reverse side of a cluster of buildings. We’d parked across the street at the open carpark and started walking towards it when suddenly an elderly lady came out and started taking the shop banner down from the pole – that’s when I ran towards her and began gesturing wildly, refusing to believe that all our efforts would go to waste. Fortunately, after she figured out that our group of 8 (big business – especially when it’s hungry Singaporeans) wanted to dine at her restaurant, she decided to let us in. 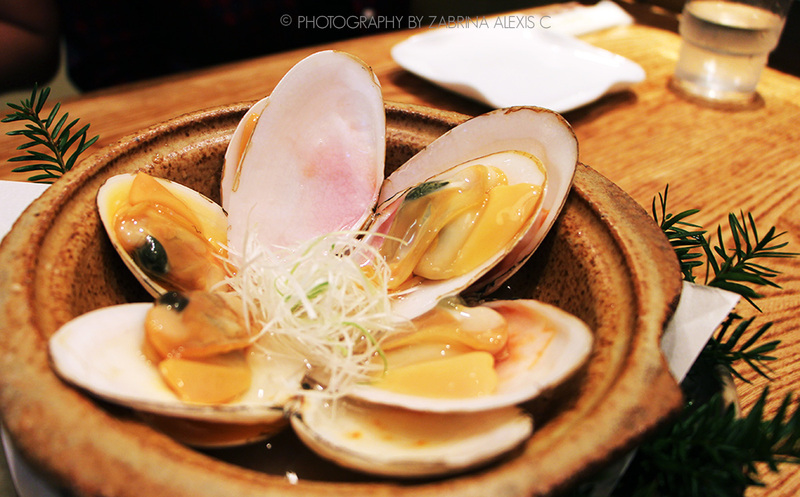 On her recommendation, we tried the special, which were clams steamed in a clear sake broth. 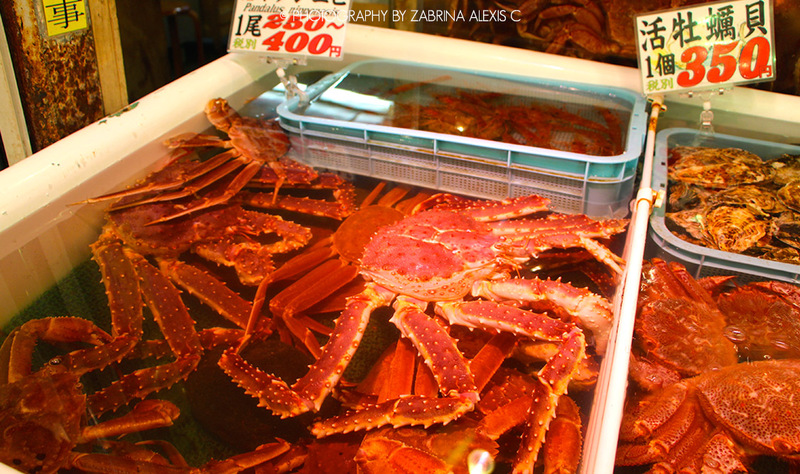 The clams were fresh and cooked just right – none of that chewiness – and came off the shell cleanly. 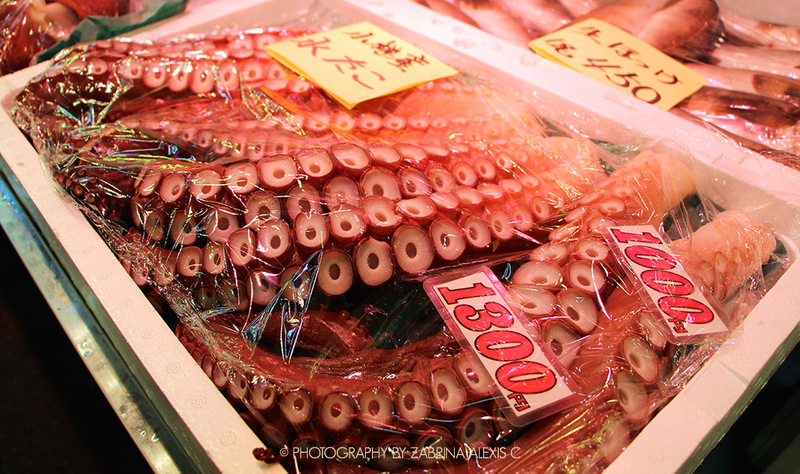 The broth itself was light, and carried the full-bodied flavour of the sake well. 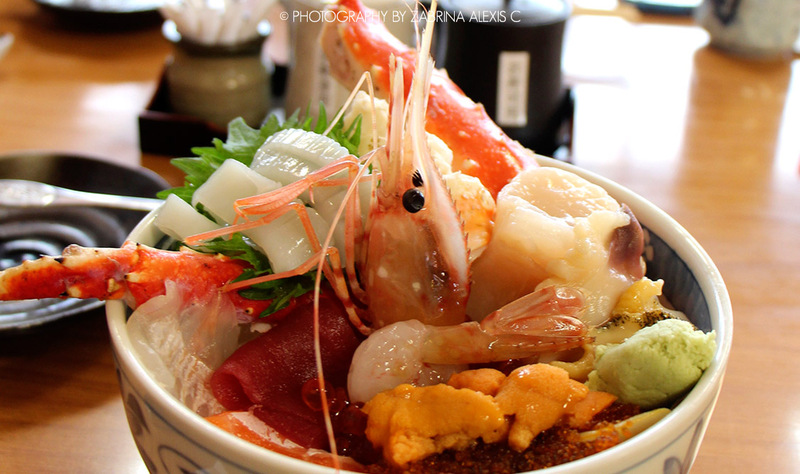 I ordered the Salmon Ikkura Don (featured picture) – of course, I wouldn’t change my allegiance – and it did not disappoint. When it was served, everyone who hadn’t ordered it went all jelly and kept eyeing it (I mean, look at the picture). It was so carefully put together – the thick salmon slices had a healthy gleam and lay in a circle around the bowl, within a ring of glossy ikkura. The salmon was extremely fresh, smooth, and had a good firmness. 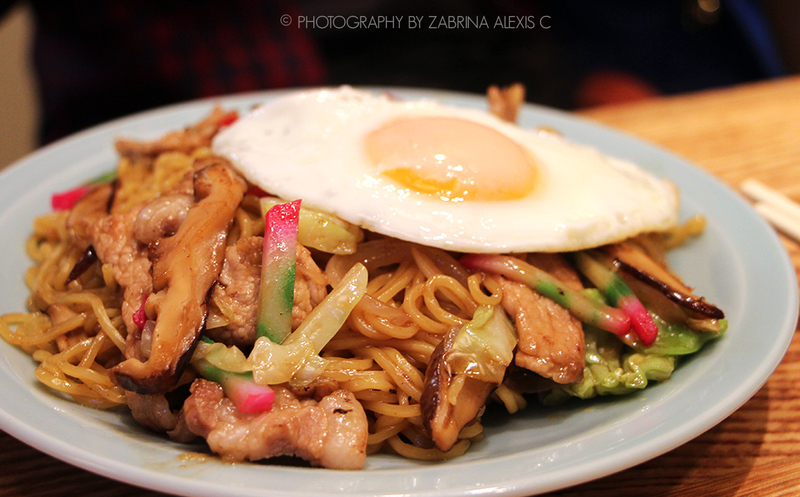 The Yakisoba came with pork and shiitake slices, and was topped with an egg – I managed to steal a bite, and it was delicious. The noodles were firm and springy, coated in this tasty savory sauce which had a hint of sweetness (perhaps a sort of teriyaki sauce but slightly less sweet). The pork was fragrant and the mushrooms were cooked to a good softness, while the vegetable slices provided the crunch. And egg yolk on noodles… how can anyone go wrong with that? Although we were the last ones in, the owners did not rush our meal. In fact, when they noticed that we were eating really quickly so they could close for the afternoon, we were told not to worry and to take our time to enjoy the food. We made it a point to keep telling them how good it was by giving them the thumbs up and telling them おいしい (Pronounced “Oishii”, meaning “delicious” in Japanese) each time they came around. When we were about to leave, we were handed little postcards featuring the fishing pier by which to remember their town and restaurant by, and smilingly ushered out with friendly goodbyes and polite little bows, and we left ready to take on the rest of the peninsula. 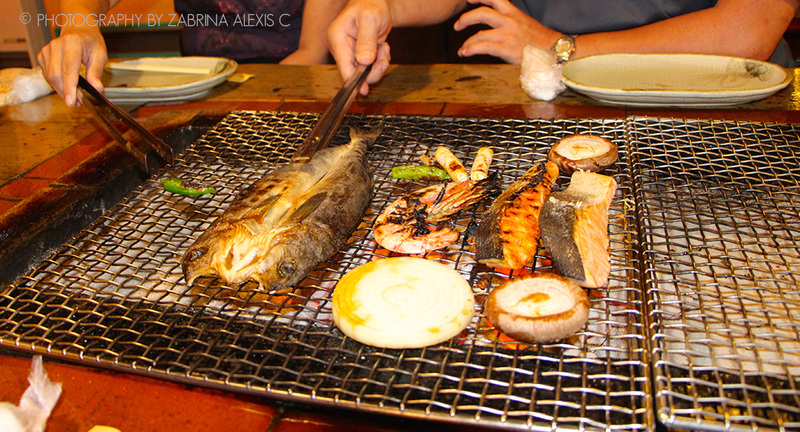 Hokkaido is well known for its fresh seafood, and when we heard about Robata Renga being famous for its do-it-yourself seafood charcoal grill, we wrote it down into our itinerary right away. Ordering was a bit complex for us because none of the staff could speak any English, but we survived with some guessing and pointing, and had a fine meal. There was a good range of seafood from which we could pick out our ingredients for the grill, but I’d say you definitely need some skill going at the charcoal barbecue. Robata Renga isn’t cheap, and by that I mean it averaged around $25 to $30 per head for us to feel full, but the seafood is fresh and the cuts are generally good. On the whole I’d say the meal was a good one, and because the beer was really inexpensive all the men were more than happy. The mixed platter had mostly one of each kind of ingredient, so it wasn’t the easiest to share (i.e. you’d have to slice it all up to each have a taste) – I don’t think this had to do with the two different sets we ordered because all the pictures seemed to feature only one or two of each item, but perhaps that could be the point. The meats were pretty ordinary. In the end, I think whether it’s worth your while really boils down to who is working the grill. If you’re not a fan of a do-it-yourself, I’d be all for leaving the barbecue to the Japanese chefs because they’re often plenty good at it.